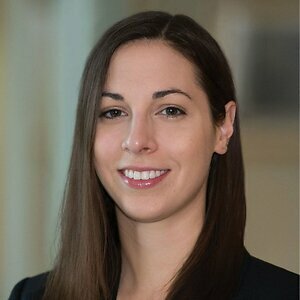 Rebecca E. Salko is an associate in the firm's Corporate Group. She focuses her practice primarily on counseling Delaware corporations on corporate law and governance issues. She also works with buyers and sellers in negotiated acquisitions and divestitures. Representation of the Conflicts Committee of Teekay Offshore Partners LP (“Offshore”) in connection with Brookfield Business Partners’ strategic partnership with Teekay Corp. and strategic investment in Offshore, announced in July 2017. Representation of Time Warner Inc. in connection with the proposed acquisition of the company by AT&T Inc. Representation of the Audit Committee of HollyFrontier Corporation in connection with a drop down of refinery units to Holly Energy Partners.